Today (Tuesday, 9th April 2013) is a bit of a milestone for this blog. It’s exactly two years to the day that I published my first post on this site. It has certainly been two years packed full of discovery and adventure, and I hope my posts have given you a decent insight into some of this. I chose this photo as it sums up the joy of traveling in so many ways. The new experiences, the unfamiliarity, the necessity of embracing a culture, the laughs, the friendships (old and new), the wonderful food, and often most important of all, the warmth and hospitality of the the people you encounter. I love this place. 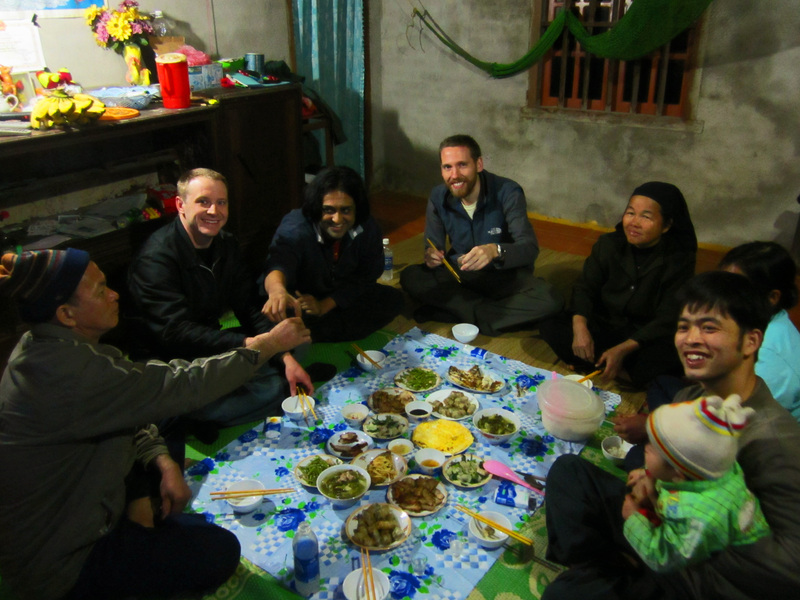 I met some great people, ate some delicious food, and weaved my way precariously through the intense army of bikes and scooters that fill the roads. This photo was taken whilst I sat at a coffee shop one day. The city just felt so vibrant and full of energy. 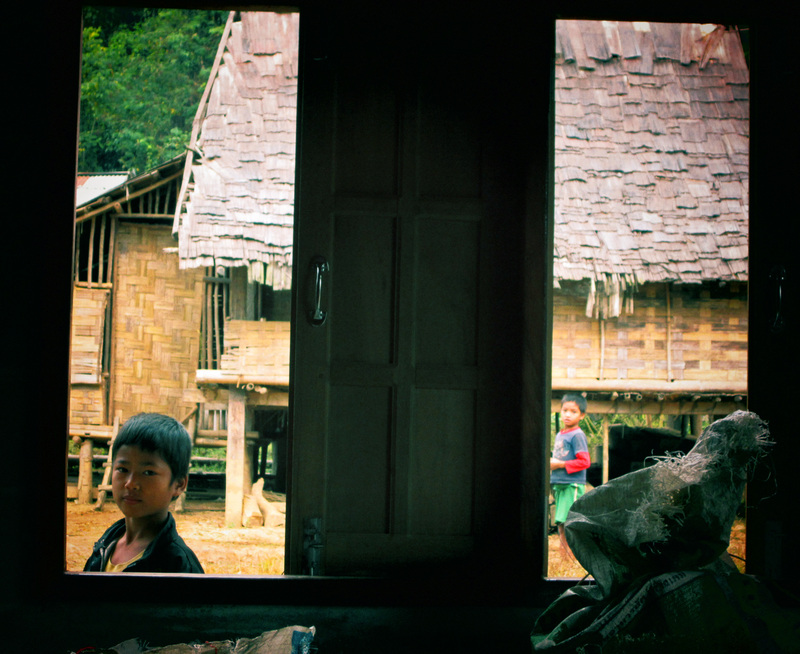 Taken during a homestay in Laos, many of the kids in the village had peeped timidly through the window to catch a glimpse of the strange foreigners inside the house. Fortunately this boy was braver than the rest and hung about long enough for me to capture this image. 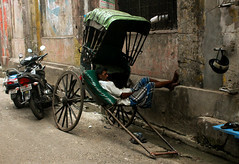 One of my favourite photos from the city that became my home in Bangladesh. 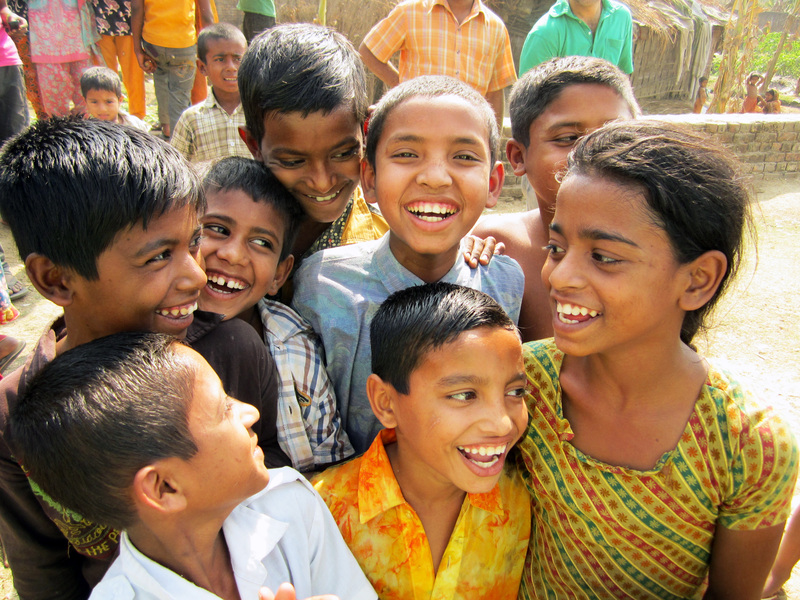 There is so much joy and expression in these faces, and what I appreciate most about the photo is the fact that each person is looking in a different direction, with the boy in the middle looking straight at the camera. One of the first photos I took on a lone trip to India. It’s a favourite of mine due to the contrasts. Kolkata is a city full of history and tradition, yet that little ‘m’ to the bottom right speaks volumes. Taken high up in the hills of Darjeeling, northern India, I remember being captivated by the peace and serenity of this place. 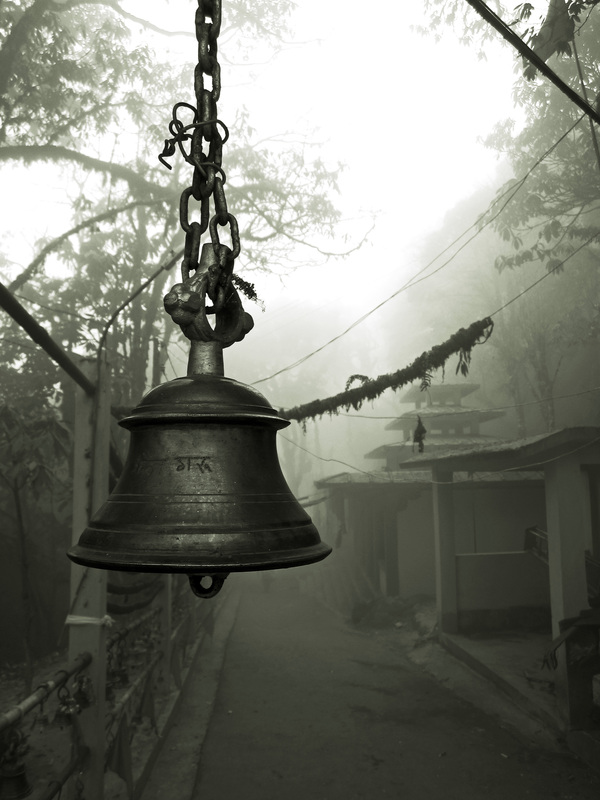 Having hiked with my guide for most of the day we came across a small Hindu temple. The mist engulfed us and the area seemed deserted. It gave the impression of being so very far away from everything else in the world. This was quite a day out, and I was lucky enough to capture this photo towards the end of the day which made the whole trip even more worth it. 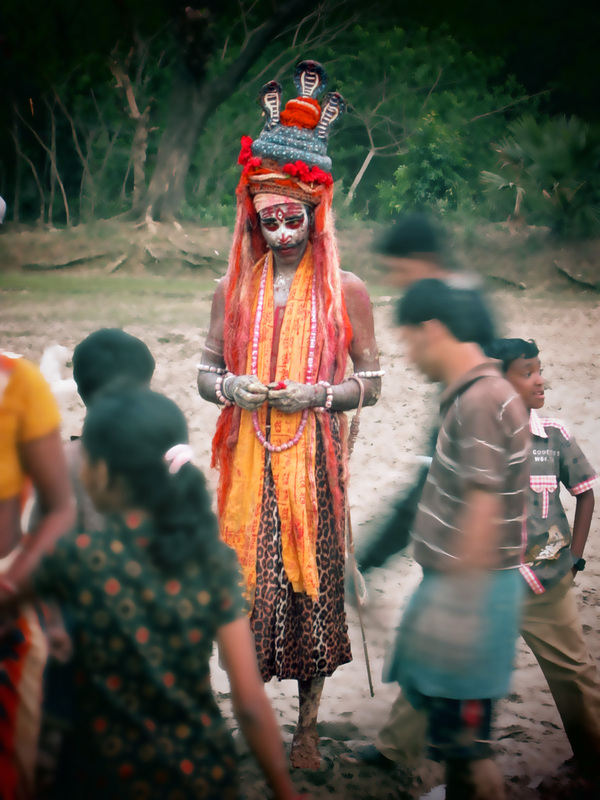 This man was the Hindu devotee at a local Charak Puja religious festival. 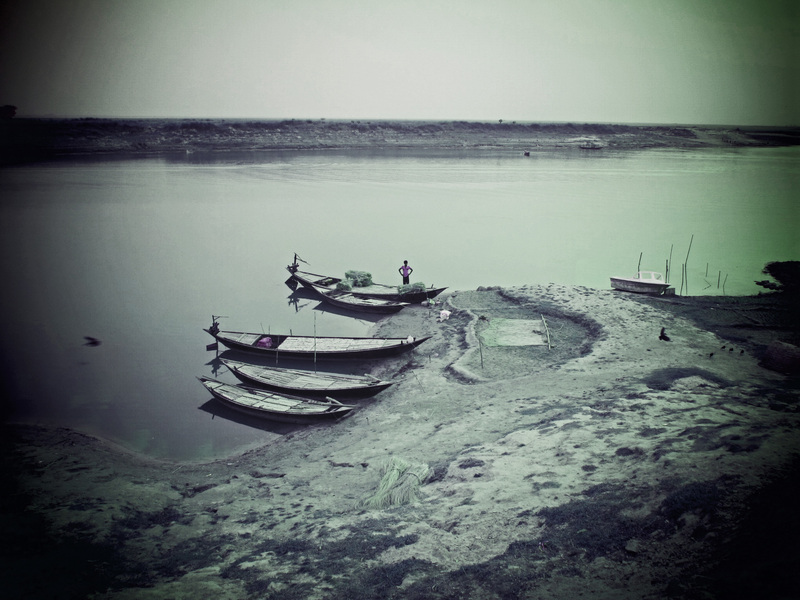 The waterways of Bangladesh provide a great deal to so many Bangladeshis. They are often a hive of activity, but one early evening here in Rajshahi I was taken by the tranquility of the riverside. Sunset on the beachfront in Colombo was pretty spectacular. 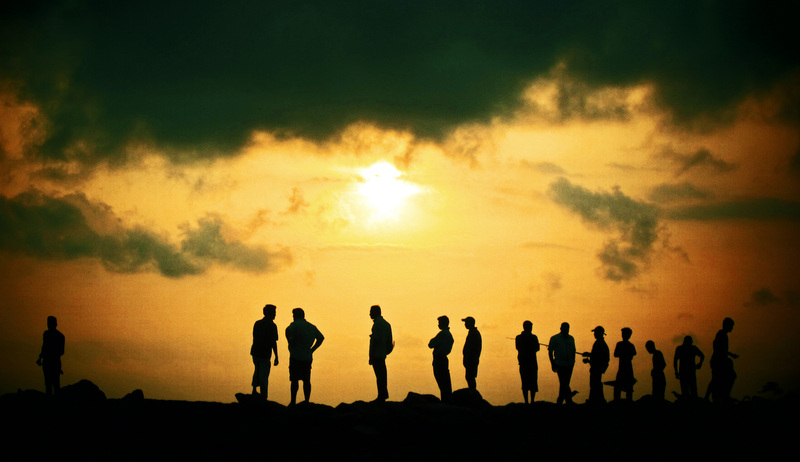 I spent a long time watching the sun descend over the ocean and also this group of men fishing and chatting vociferously. One of my favourite locations in Bangladesh, Cox’s Bazar has provided many great moments and images. However, the afternoon spent watching the fishermen was a highlight, and this particular photo a favourite of mine. A father and his young son working as a team to provide for the family, dipping in and out of the waves, they seemed happy to let me follow them for 10-15 minutes. So there you have it. 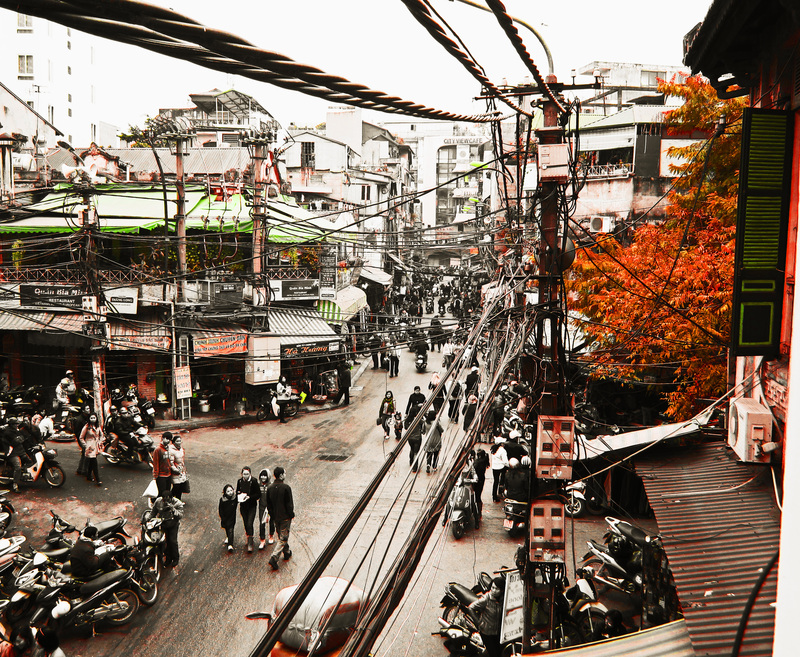 Ten images that stood out for me and sum up two years of travel and new experience. I have no idea what the next two will bring, but I know I will be armed with my camera at all times! Ok, I’m going to cheat a little here, but I couldn’t end this blog without choosing a favourite photo from Guyana. It was hard to choose, but I think this one edges it. 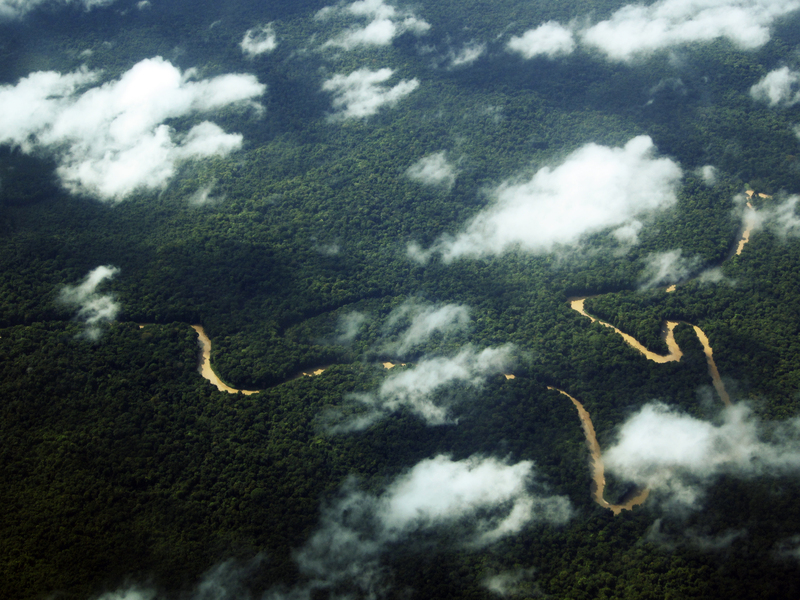 Taken from the window of a small plane on the way to visit some of my volunteers in Port Kaituma (a small town in the north of the country), it really did provide me with a first view of just how uninhabited and wild parts of this country are! This entry was posted on April 9, 2013 by johnstanlake. 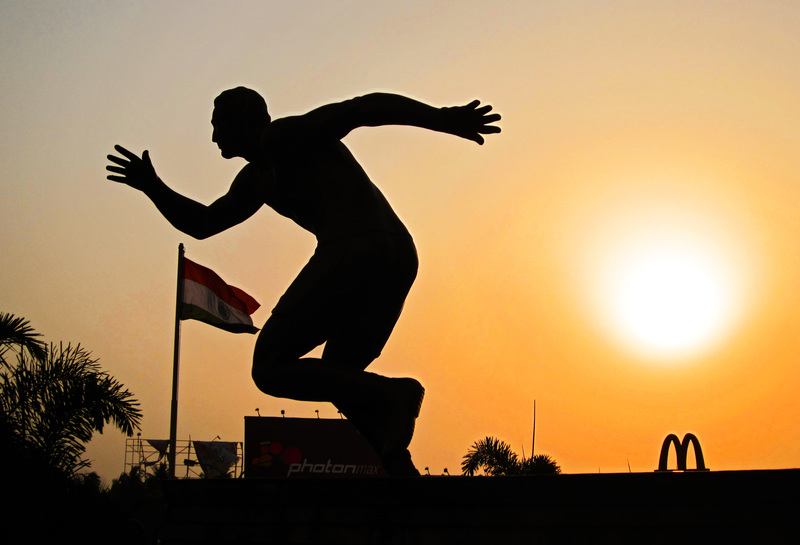 It was filed under Bangladesh, Change, Charak Puja, Chittagong, Cox's Bazar, Guyana, Hinduism, Love, Photography, Puja, Sunset, Travel, Travel Photography, Uncategorized . Super pictures John, and wonderful to look back on. Here’s to your future. Thanks very much! I’m glad you enjoyed them. 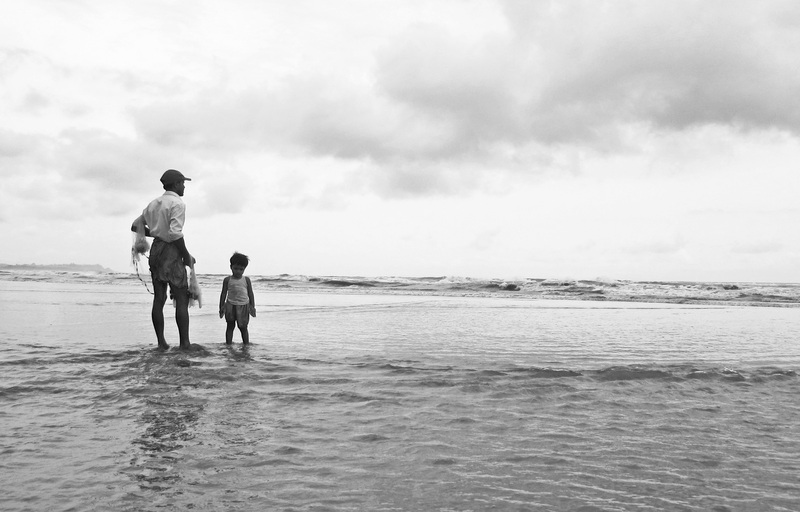 Great photos John and the boy fishing with his Dad in Cox’s Bazaar is still my favourite of them all. As always, stunning photos,mate!! Love it! these are great John! i think 10 is my favorite, though 6 and 7 are especially cool, too. thanks for sharing!